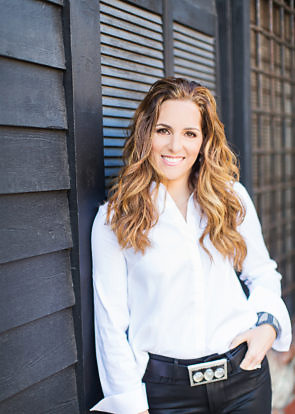 Lisa McDennon founded her Laguna Beach–based interiors firm, Lisa McDennon Design, in 2000. Inspired by the region’s beauty, history, and culture, McDennon’s distinctive style reinvigorates coastal California design. She works with natural materials, elegant forms, and varied textures to create modern residential and commercial interiors that are sophisticated, unexpected, and timeless. With degrees in fine art and interior design, McDennon brings a deep knowledge of art and architecture to all her work, which has been recognized with multiple awards and coverage in national publications. House Beautiful named her one of 2010’s “Next Wave of Designers to Watch”. Nuance, McDennon’s trend-setting home and lifestyle boutique in Laguna Beach, showcases her modern, sophisticated style with custom furniture, lighting, and linens. The Lisa McDennon Collection for Hinkley lighting debuted January 2017. The collection features designs that demonstrate her style and imagination with a modern, organic aesthetic.